Joana Watsky, owner of Sit and Stay Dog Training in NJ, meets lots of new puppies whose only exposure to the world is the backyard for toilet training. Many don’t even get that far because they are paper trained indoors. The owners’ goal is to avoid exposing their pups to the outdoor world until after they have all of their vaccinations at around 16 weeks. They are acting on the advice of veterinarians concerned about the puppies contracting a communicable disease. According to dog trainers and behavioral experts – including veterinary behaviorists – puppies are most accepting of new experiences between 3 and 12 weeks old. After that age, they become much more cautious of anything they haven’t yet encountered. The American Veterinary Society of Animal Behavior (AVSAB) cites the first three months of a dog’s life as the most important time for socialization. Veterinary behavior experts now agree that young puppies must be socialized before they are done with their vaccinations. The recommendation is to socialize puppies as safely as possible by exposing the puppy to people, places and other animals while not taking unnecessary risks. While puppies’ immune systems are still developing during these early months, the combination of maternal immunity, primary vaccination, and appropriate care makes the risk of infection relatively small compared to the chance of death from a behavior problem. Veterinarians specializing in behavior recommend that owners take advantage of every safe opportunity to expose young puppies to the great variety of stimuli that they will experience in their lives. Veterinary experts suggest well-run indoor puppy kindergarten classes where all of the puppies have been vaccinated at least once as a safe and smart way to socialize a puppy. 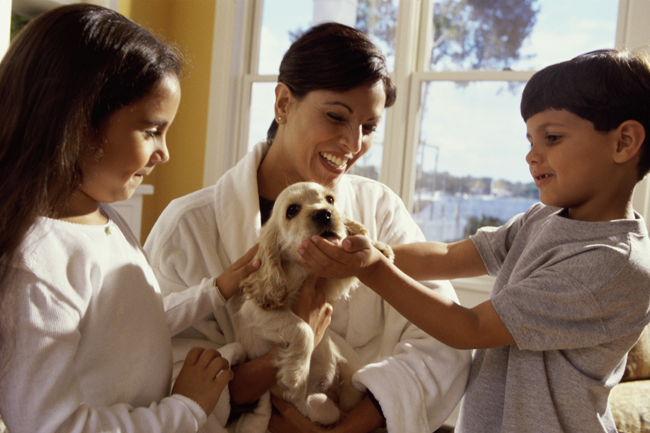 According to the AVSAB, in general, puppies can start puppy socialization classes as early as 7 to 8 weeks of age. Puppies should receive a minimum of one set of vaccines at least seven days prior to the first class and a first deworming and should be kept up-to-date on vaccines throughout the class. Other safe socialization suggestions include arranging playdates with puppies or adult dogs if the owner knows that these dogs are healthy and friendly. These meet-ups should be in a private backyard or indoors but never in a public park or dog park until the puppy is fully vaccinated. Watsky is happy that many of the veterinarians in the communities where she trains are now emphasizing the importance of socializing puppies. She also reassures clients that it’s safe to take their puppies outside as long as they are careful about where they go. Some clients join Watsky’s puppy kindergarten classes designed for puppy training and early socialization. Kimberly Lenhart’s rescue dog, Leo, a 5-month-old Chihuahua mix, recently graduated from the puppy class with a new sense of confidence. Puppy kindergarten class gave Leo, a 5-month-old Chihuahua mix, confidence when meeting other dogs in his suburban neighborhood. 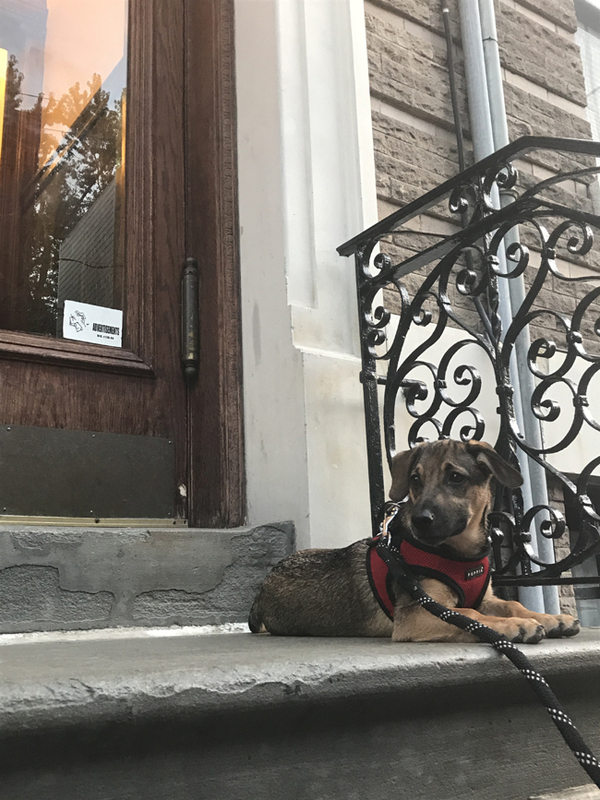 Since puppy kindergarten classes are held just once a week—and that’s not enough socialization—Watsky encourages owners to exchange numbers and meet for playdates in between. She offers the same advice to her in-home clients and makes connections between owners who live close to one another and have puppies with similar temperaments. Host a puppy party! Invite friends and family over, play some music, toss some streamers and pass your pup around. Take your pup on car rides through different neighborhoods, drive-thrus, car washes and out into the country where he’ll see and smell a variety of farm animals. 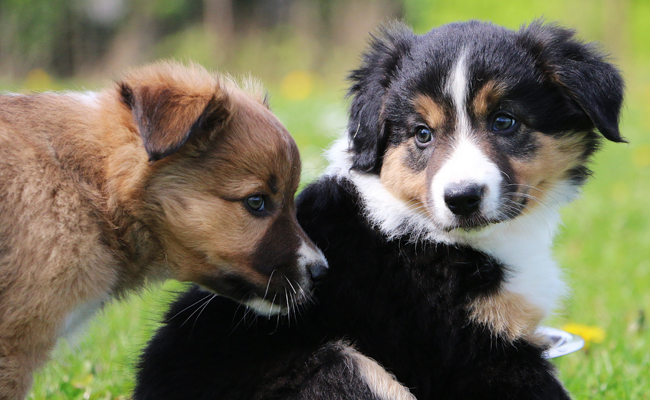 The ASPCA offers a Puppy Socialization Worksheet including a puppy exposure checklist. The Association of Professional Dog Trainers offers tips on how to choose a trainer. Always discuss your puppy socialization plans with your veterinarian to make sure that you are safely exposing your pup to the outside world. Is Dog Training an Animal Welfare Issue? Do NOT expose young puppies to other unvaccinated dogs.